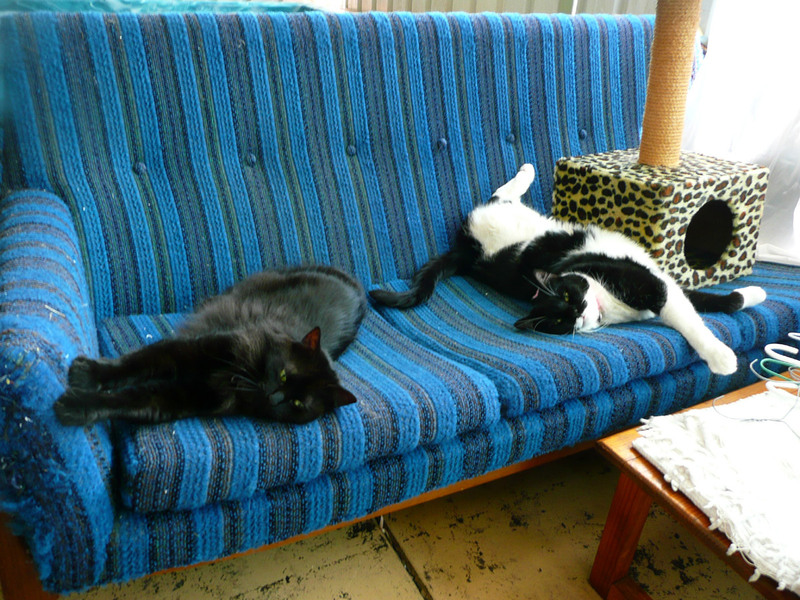 2 January 2012 – Thank you, everyone, for all your kind words, thoughts and support for Billy Lee, Jac, Pixel and me. We lost our Big Girl today and I’ve now changed this page to be Billy Lee’s tribute page. We got Billy Lee and Pixel on the same day. 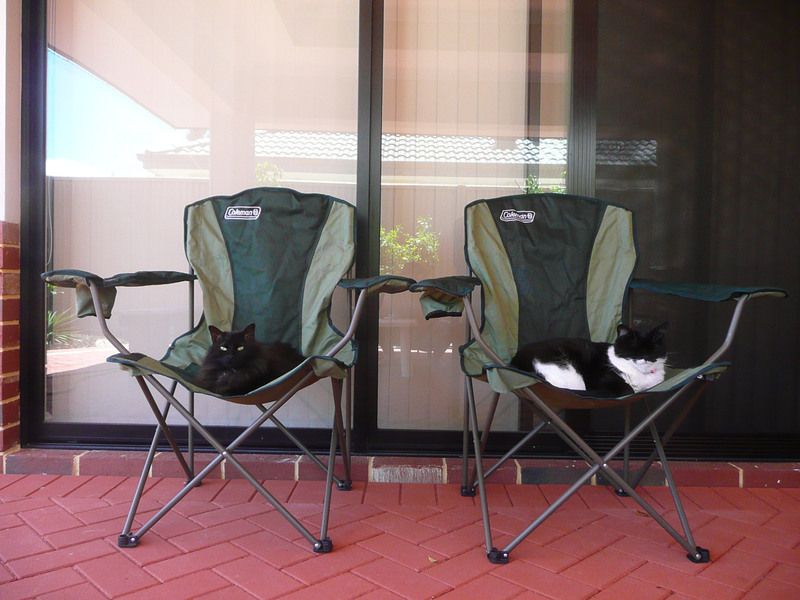 We went to the Cat Haven in Shenton Park hoping to get two kittens so they could be companions. I chose a naughty black fluffball who was chasing the tails of the other kittens in her cage – that was Pixel. Jac deliberated for ages, moving from cage to cage, unable to make up her mind. 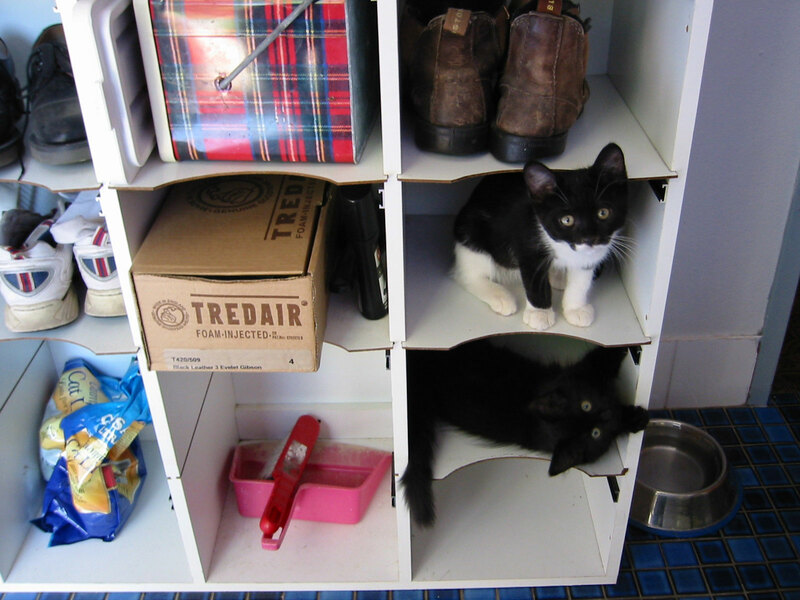 In the end it was a spunky black and white kitten who chose Jac – she climbed up the cage, hung on with her claws and meowed at the top of her voice to get Jac’s attention. When Jac spoke to her, she meowed back with great feeling. 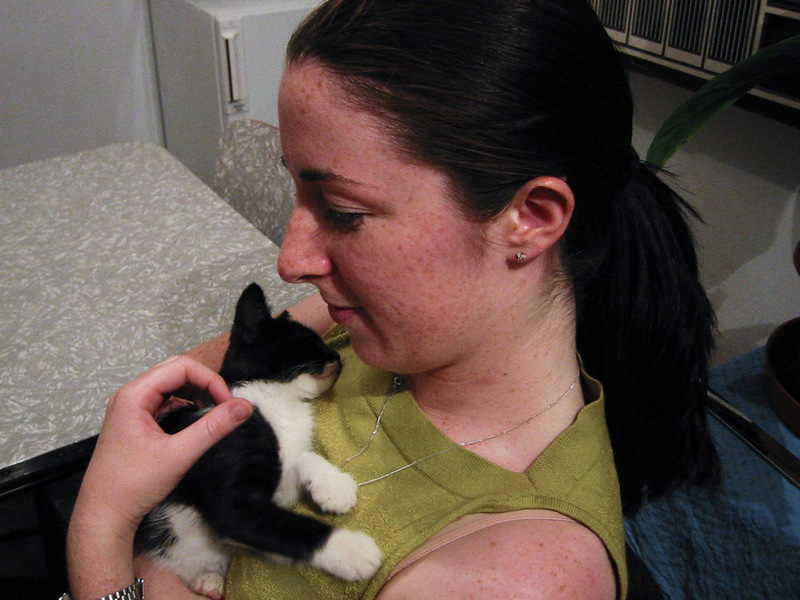 From that moment on, this black and white furry baby became part of our family. I named the black kitten Pixel. Jac named the black and white kitten Billy Lee, after Billy Lee’s Chinese Restaurant in Northbridge where we went on our first date. We never guessed how big Billy Lee would be when she grew up, but perhaps the size of her paws should have given us a clue. 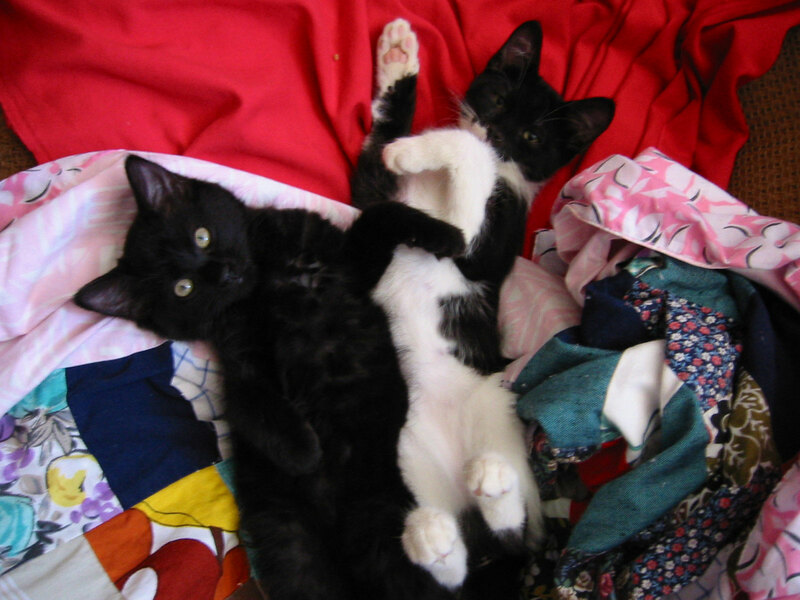 Billy Lee and Pixel were great friends from the beginning. They played together in every room of the house. We lost our first cat after she was run over in our street, so we decided to make Billy Lee and Pixel indoor cats. One of their favourite things to do was sit at the back door and watch the chickens, which we were able to keep at our previous house, which had a big backyard. 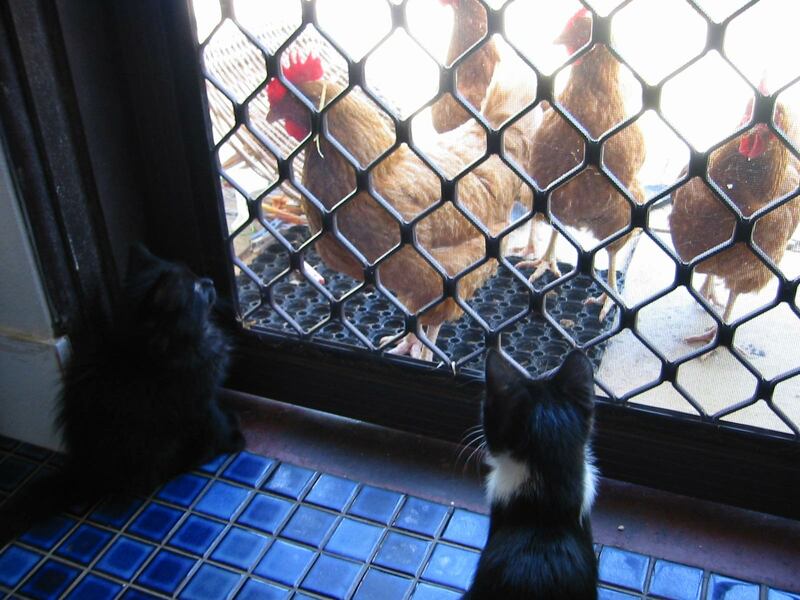 Our chooks often came right up to the back door, much to the delight (and simultaneous terror) of the kittens. 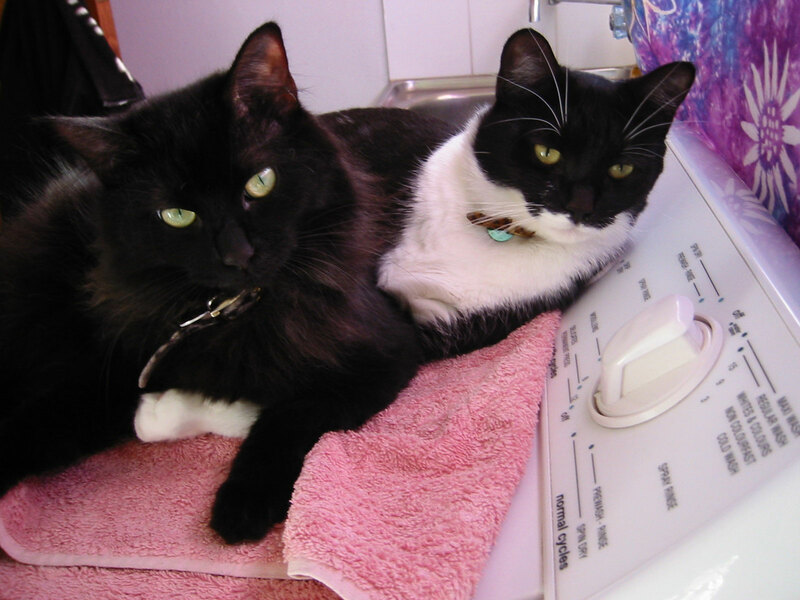 Another favourite spot to hang out (which remained a favourite for years) was the top of the washing machine. 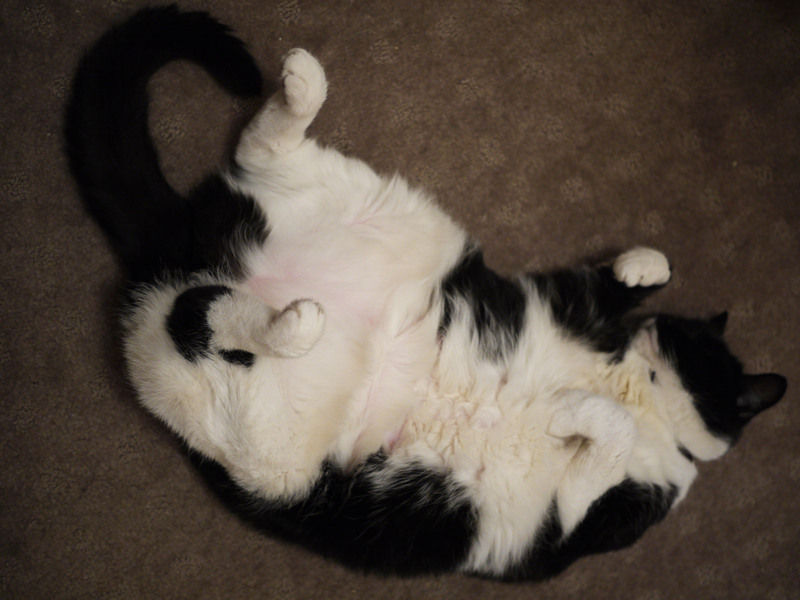 As she got older, people often assumed Billy Lee was a male cat, mainly because she was so big. She wasn’t really fat, just a big framed cat. 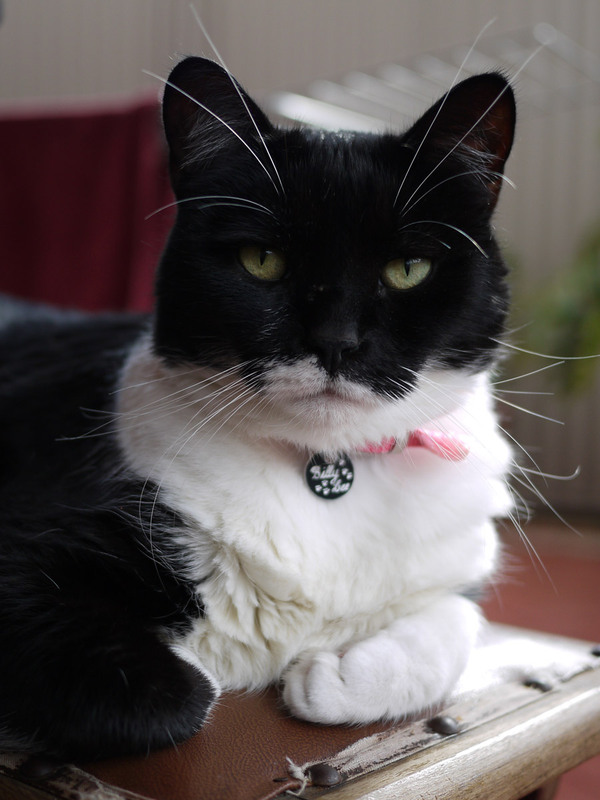 At one stage Jac even bought her a hot pink collar studded with diamontes to give her a more “girly” appearance, but people still called Billy “he”. To us, she was always our “Big Baby”, “Big Girl” or simply “Bill”. I also called her (with affection) “Softball Head”. Billy Lee liked to sleep in our bed, with her head on the pillow like a person. 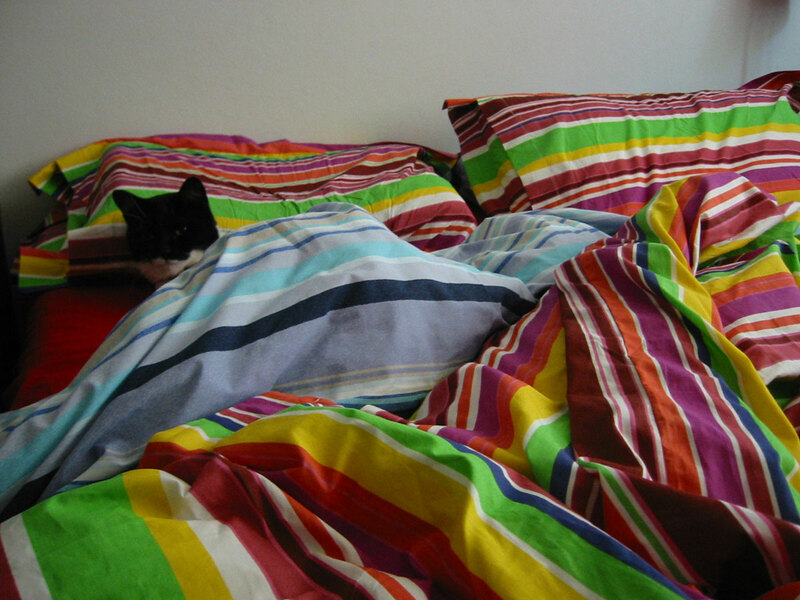 As she slept, she would gradually “spread out” and effectively push me to the edge of the bed, purring the whole time. She was always happiest just being with us, whether snuggled up in bed, hanging out in the study with me or watching DVDs with Jac in the lounge. On work days, she loved to sleep for hours behind the curtains in our front window, thereby ensuring an ever-present layer of cat hair that drove Jac crazy. 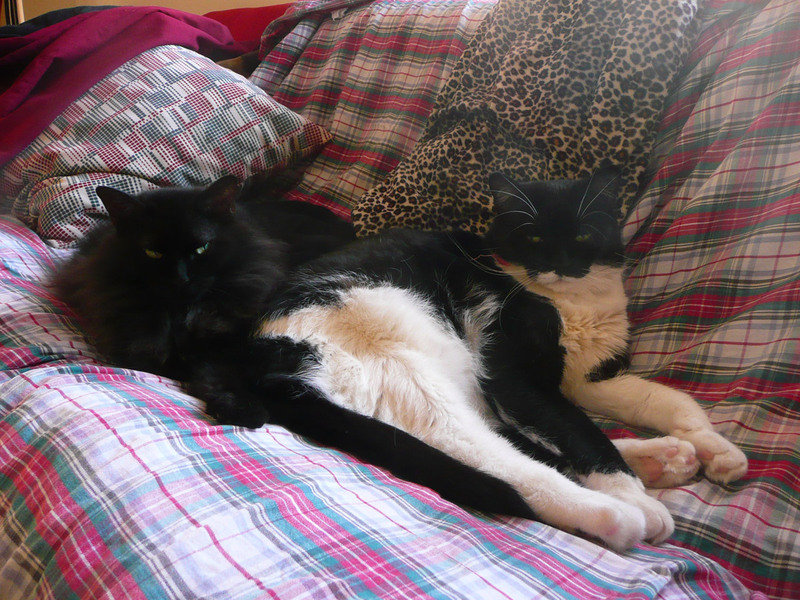 As they got older, it was clear Billy Lee would be a much larger cat than Pixel. 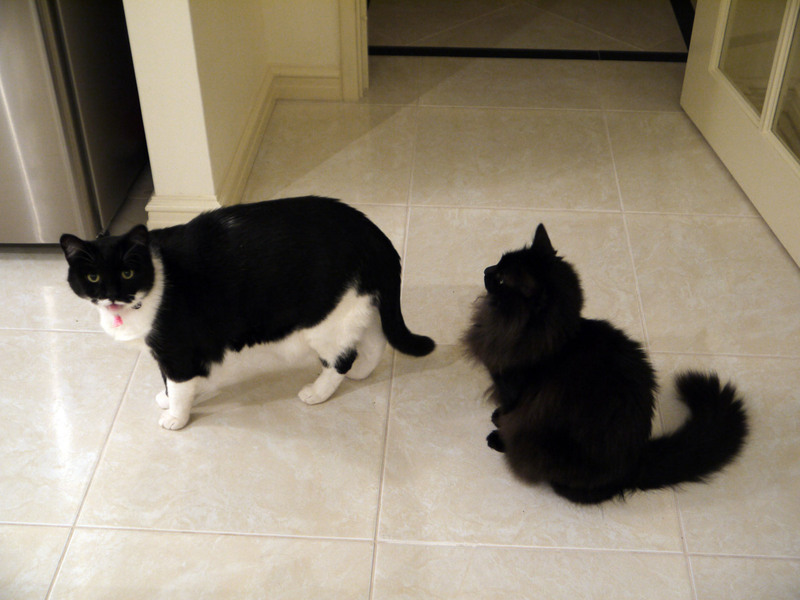 As an adult, Billy Lee was usually around 8kg, while Pixel was just over 4kg. Not surprisingly, Billy was The Boss. If she wanted a particular spot on the couch, bed or window sill, Pixel would have no choice but to give it up. But most of the time, the ‘girls’ were happy to hang out together and got on really well. She was always a smoocher, even as a kitten, and loved kisses and cuddles and a massage. 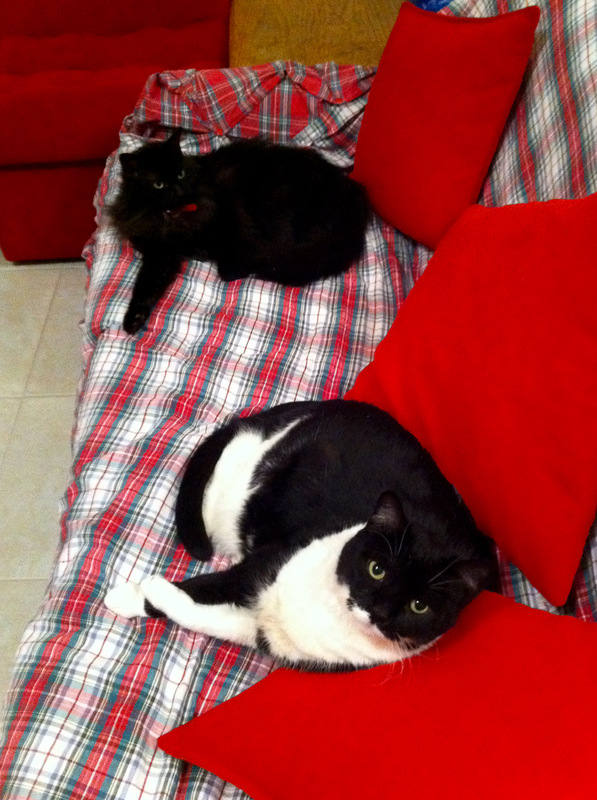 Whenever Jac got on the couch, Billy Lee would climb up on her and make herself comfortable. It’s hard to do much else when you have 8kg of cat sitting on top of you. And she would happily stay there for hours, purring like a motor. If you stopped stroking her, she would tap you with her paw until you recommenced affections. Even when she was seriously ill in hospital, the vets and nurses all commented on what a sweetie she was and how responsive she was to their touch and attention. 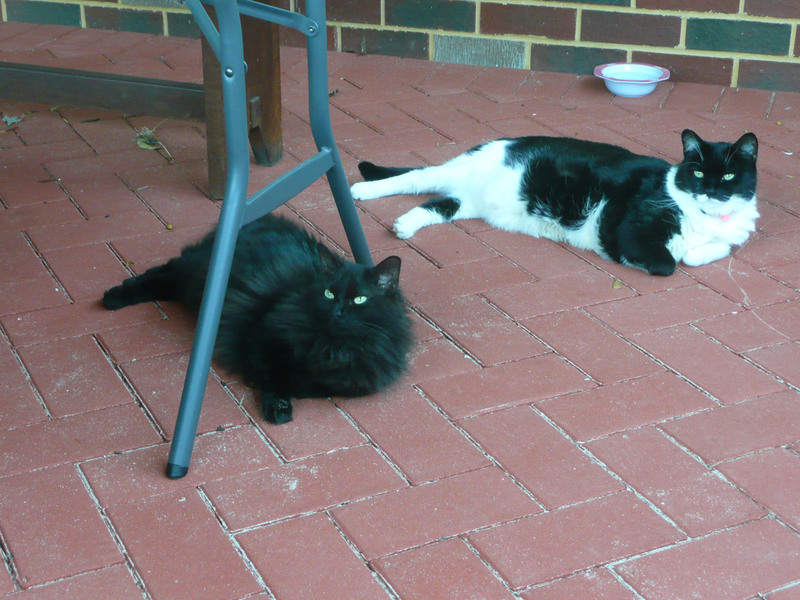 When we moved to our current house, the smaller backyard meant we were able to fully enclose it with cat netting so Billy and Pixel could be safe outside. 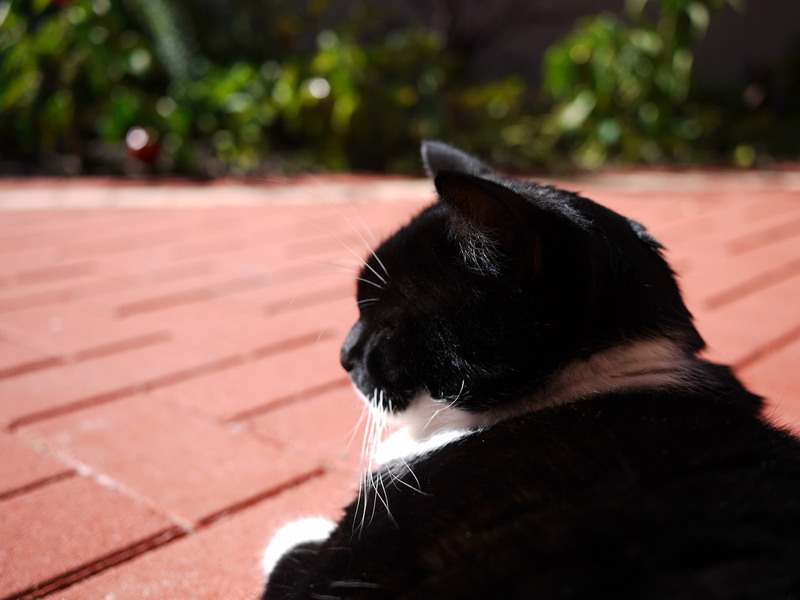 Billy loved to sit on the patio in the sunshine. In the past few years, she developed a fondness for eating moths, and would hunt them in the garden and on the patio. But most of the time, she was very much like a stately great dane and would just sit and watch the world go by. She was a talkative cat and always answered if you talked to her. Often, when I got home from work and began telling Jac about my day, Billy would join in too with her own stories. If she had something on her mind, she would not hesitate tell you. In the photo below, she is letting us know she wants a taste of the lamb that Jac is cooking. I know Pixel will miss her best friend’s company. They really were great mates and companions. 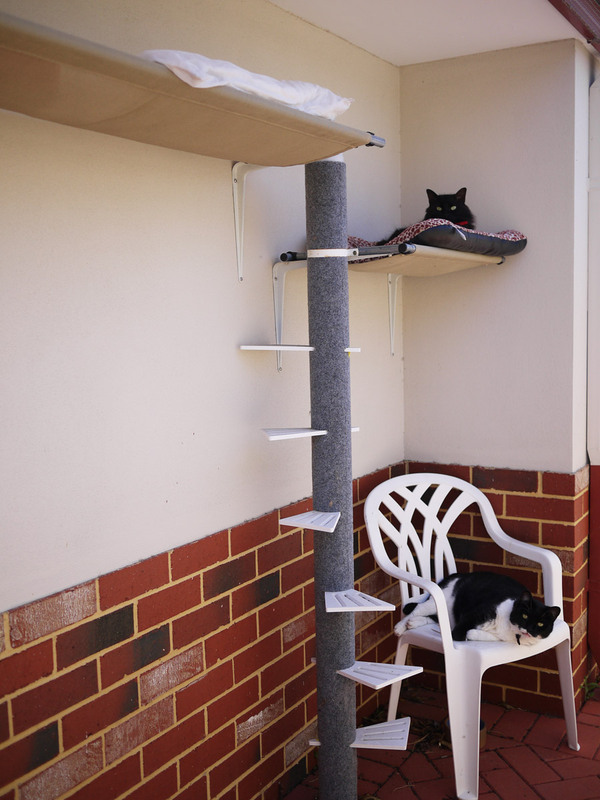 Billy Lee was never very good at climbing or jumping up high (likely to have been related to the defect in her back that led to her health crisis), so we would create spots for her much closer to the ground so she could still be reasonably close to Pixel. As I took this photo, Billy was having a chat, meowing at me. 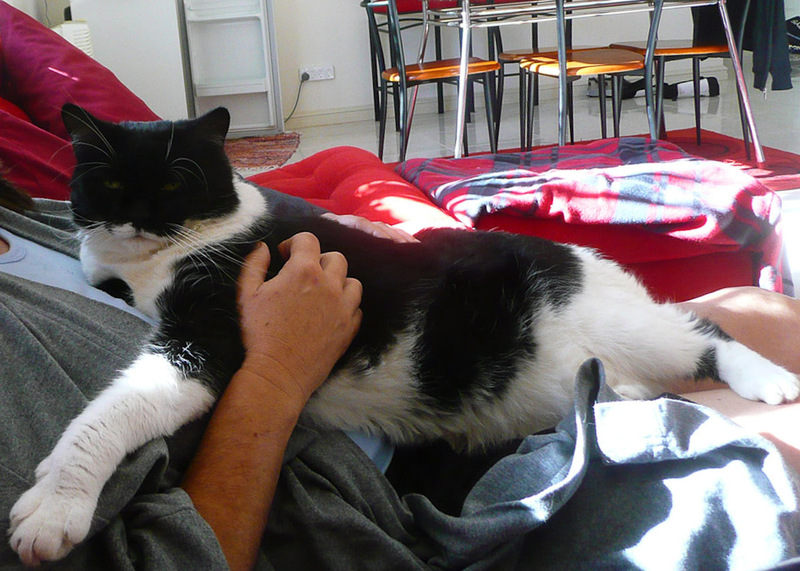 Billy was a constant companion to me as I worked in my study, on my Honours thesis, my PhD, and on my blog. Her favourite place was on my footstool next to my feet, under my desk. Every now and then, she would lick my toes, reminding me she was there. Sometimes (I think when it got too hot), she would sleep on the floor on her back, completely relaxed. I could stroke her paws or tummy and she would be perfectly happy lying there letting me do it. In November, shortly after I returned from Sydney, Billy seemed to have a pain in her back. 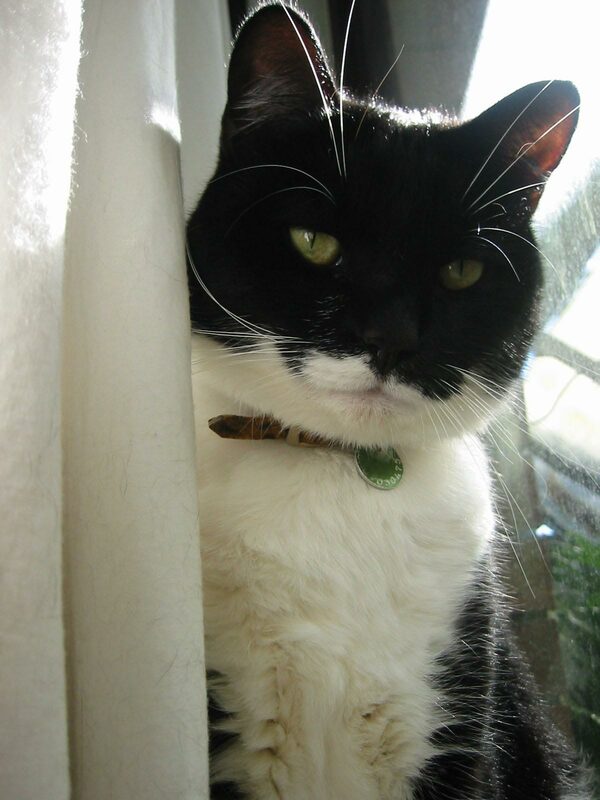 At the time, her blood tests all came back normal and the vet treated her with painkillers for suspected arthritis. She seemed to respond well to the medication. But now we know it was probably the beginning of the end for our dear Billy Lee. Early in the morning on 29 December 2011, Billy Lee had a seizure. We woke to a strange noise and found her on the patio, lying on her side, drooling, back legs kicking. We scooped her up in a towel and drove her to Murdoch University where they have a 24-hour emergency vet clinic. Billy Lee was all wild-eyed on the drive, clearly distressed and confused. Her body was all twisted and she bit me twice, which is completely out of character for her. Until that moment she had never bitten me. Tests showed her seizure had been caused by meningitis, and although her front half was responding well to treatment, Billy Lee’s back legs remained paralysed and she was unable to control her bladder. She developed breathing difficulties while in hospital and had to be placed in an oxygen cage to help her breathe. Radiographs of her spine showed damage to one of her vertebrae as a result of either tumour, infection and/or a congenital defect. It’s hard to know what came first. Whatever the cause, it was clear her life would never be the same again. After all our discussions with the vets about her condition, her prospects for recovery and her quality of life, we made the difficult decision to let her go. We drove to the vet hospital to be with her in her last moments. We spoke to her, told her we love her and kissed her good-bye. She purred when I kissed her and stroked her head. 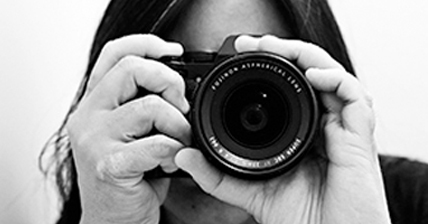 She passed away peacefully in Jac’s arms on 2 January 2012. Jac and I are both heartbroken to have lost our Big Girl. Ten years seems much too short, but we are grateful they were a wonderful ten years. We were so lucky that this funny tuxedo kitten with big paws decided to meow out for Jac’s attention that day at the Cat Haven. She grew up to be a placid, affectionate cat with the most lovely nature, and was a cherished member of our family. I will miss her funny growly meows when she’d try to wake me up much too early in the morning in summer. I will miss her big solemn face, cold wet nose, rumbling purr and the tickle of her whiskers as she came to bed, looking for a spot to settle (usually on my pillow). I will miss her in my study everyday as I work on my blog. I will miss our conversations. Bye Bill, we love you and will all miss you. A special thanks to all the staff who treated Billy Lee and cared for her during her time at Murdoch Veterinary Hospital. Note: If you haven’t come here before, some of the comments below may not seem to make sense as they were written while Billy Lee was still alive and we were hopeful she would pull through and make a meaningful recovery. I changed the content of this page after she passed away, removing the previous daily condition updates, to publish this tribute in Billy Lee’s memory.